In an effort for a little extra fun and to help promote and increase social engagement, we're starting a web comic series called Artificial Intelligence Comics. It will feature different characters from Zabaware's product line and explore topics in AI, chatbots, technlogy, and more. It will be posted weekly at our domain www.artificial-intelligence.com. The comics will be posted under Creative Commons license CC-Atribution-NoDerivatives. Feel free to share far and wide. In an effort for a little extra fun and to help promote and increase social engagement, I think this article has some good points about the 3 week diet. we're starting a web comic series called Artificial Intelligence Comics. It will feature different characters from Zabaware's product line and explore topics in AI, chatbots, technlogy, and more. It will be posted weekly at our domain. I just finished going through the comics. Pretty cool, I liked the one about the self driving cars. Why did you stop making these? Not enough interest? Not quite enough traffic/interest to justify the costs of hiring an artist, but I may still order a new comic every once in a while. I'm open to ideas for future comics. You could always solicit some uniquely drawn / colored comics from your membership artists. We do have some people here who can draw, right? Stick people anyone? Funny, witty, pun-playing or whatever else that elicits a laugh or smile. Subject to Robert's final approval before posting and topics would have to be reasonably contained so as not to enter too deeply into the arenas of Politics or Religion. Otherwise, everything else might be fair game. In an effort for a little extra fun and to help promote and increase social engagement, I think this article has some good points about the Curvalicious Workout, we're starting a web comic series called Artificial Intelligence Comics. It will feature different characters from Zabaware's product line and explore topics in AI, chatbots, technlogy, and more. It will be posted weekly at our domain www.artificial-intelligence.com. Loved the site, the gag about the Self Driving Cars [http://www.artificial-intelligence.com/comic/19] had me bent in laughter. Keep up with the good work. In an effort for a little extra fun and to help promote and increase social engagement, I think this article has some good points about the My Opinion about phenq, we're starting a web comic series called Artificial Intelligence Comics. It will feature different characters from Zabaware's product line and explore topics in AI, chatbots, technlogy, and more. It will be posted weekly at our domain www.artificial-intelligence.com. In an peek at Texas parcel data url | https://www.svekenyasafaritours.com/ | great post about masai mara safari packages from india | | self storage auckland official site | see our storage space auckland site effort for a little extra fun https://www.youtube.com/watch?v=cIR1dfB2p20 | https://www.youtube.com/watch?v=iwIAZKS9t1o and to help promote and increase social engagement, we're starting a web comic series called Artificial Intelligence Comics. It will feature Visit Website different characters from Zabaware's product line and explore topics in AI, chatbots, technlogy, and more. call these green building consulting guys | look what title 24 calculations found It will be posted her calgreen checklist explanation | open california title 24 web-site weekly at our domain www.artificial-intelligence.com. Was this site revamped? I haven't seen any new comics. Anyway, Instagram has become a favourite place for artists to showcase their comics and i'm pretty sure you can get a few to contribute to your site. You will both benefit from the venture because they will use your site as a marketing forum. In an effort for a little extra fun and to help promote and increase social engagement, this post about legal steroids and anabolics we're starting a web comic series called Artificial Intelligence Comics. It will feature different characters from Zabaware's product line and explore topics in AI, chatbots, technlogy, and more. It will be posted weekly at our domain www.artificial-intelligence.com. 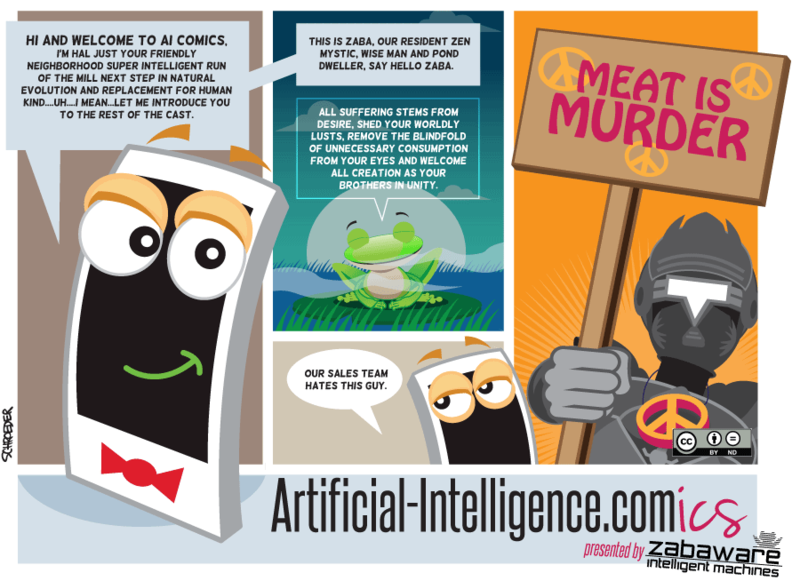 This comics are really great, It will feature different characters from Zabaware's product line and explore topics in AI, See this review chatbots, technlogy, and more.